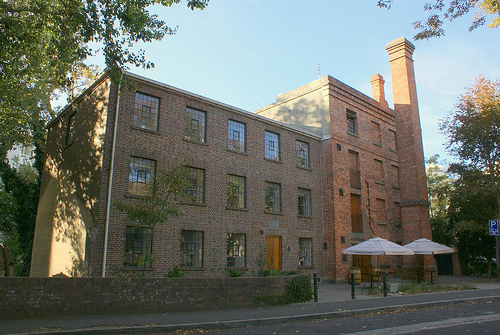 The Mill Museum is the darling of the Cape Town Historical Society which was bequeathed the building by its heir, Myra East, in 1975. At the time, the Mill was in a sad state of disrepair. Abandoned in the latter half of the 1930s, much of the building had lain exposed to the elements for decades. A few records hinting at its construction and workings during its illustrious years of operation between 1840 when it was built, and 1863 when its machinery fell silent inspired the society to attempt its renovation and reconstruction. After clearing the building and the surrounds of years of debris, they unearthed much of the Mill’s defunct machinery. From these relics and a few precious records, they made it their goal to return this much loved Cape icon to full operation once again. Today the Mill is a destination that not only honours a precious piece of Cape History, but also respects the traditions of the community, an awareness of natural and organic living and responsibility to the environment. Plans to turn the museum from a small display of recovered artefacts into a stimulating exhibition of the stone milling process are well underway. A major challenge is to recreate the original watercourses to supply the waterwheel and harness the power of the Liesbeek River. Mill pundits and scholars alike will be offered a rare insight into the methods and equipment devised to industrialise the production of flour. The Mill Museum will offer an intriguing exhibition of stone milling in process, and showpiece the history of power and its evolution from water to steam to electricity ­and back again.